From planned maintenance to emergency roof repairs, our Peterborough roofers are experienced working with asphalt, mineral felt or lead. Our roofers carry materials with them on all jobs so they can often make some repairs on the spot. Call HandymanServices247.co.uk now on to make an enquiry by phone. We offer flat roofing repairs. We also work with conservatory roofs, guttering and re-pointing. We're proud of the services our Peterborough roofers provide, and to prove it our repairs carry a guarantee of anywhere from 1 to 20 years, depending on the type of work. We service the Peterborough and Greater Peterborough area – to find out exactly which areas we service, visit our Peterborough service area guide. To spot small leaks before they turn into a big problem, it's a good idea to inspect your roof at least once a year (or twice a year if possible). Carefully use a ladder to get a look at the roof - but do not walk on the surface, as this can damage your roofing and be unsafe. Use binoculars to examine the roof. Checking a roof in Peterborough during the winter can be dangerous – so take extra care. The parts of a roof in Peterborough most likely to need repair are flashing (e.g. around any chimneys or pipes) - look for any bits of felt with cracks or curled edges. Look for any discoloured patches of roofing, for example any black or green areas; this may be algae which can eat away at the roof. Spotting roofing leaks and knowing when repairs are needed can be challenging, though most home owners will manage it. However, doing the actual work is usually only possible by a qualified roofer. Leaving a roof leak unfixed can result in damp walls, mould in the loft, and at worse, structural damage to the roof itself. Call us on and have your roof inspected to avoid unnecessarily expensive repairs in the future. If you have a roofing emergency, such as a leaking roof or gutter repairs, call HandymanServices247.co.uk now on and we'll get a roofer in Peterborough out to you as soon as possible. We operate a fixed price charging system and there is no call out fee, so call now on to arrange a visit or free estimate. 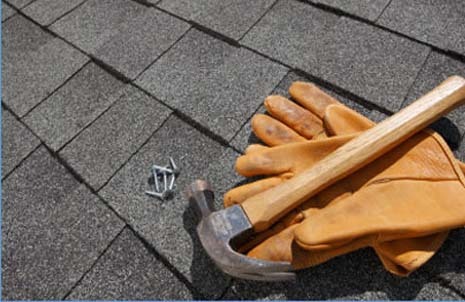 If you run a business in Peterborough and you need a roofer, look no further than Handyman Services. Our roofers have experience working on both retail and commercial properties.